There are a lot of space advocates in Canada. Some of them are affiliated with academic institutions. Others are wrapped around ideas such as the "open source" development of space missions/ equipment or "working in space" or something else. A few are tied to activities where the members actually have to accomplish something, such as launching rockets, building satellites, raising money for scientific research or some other activity. Normally, this last group is the sanest, because of the practical requirements needed to accomplish something, which tends to overwhelm the dreamers. With that in mind, below is a representative sampling of some of the more interesting Canadian examples of space advocates, activists and their associated groups. The Astronomy and Space Exploration Society (ASX) - A non-profit organization run out of the University of Toronto with a mandate to "educate, excite, and inspire students, professionals, and the general public about astronomy and space." Best known for its annual January "Expanding Canada" symposiums. 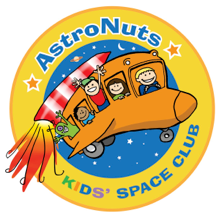 The AstroNut's Kids Space Club - A space focused educational group for elementary school students created in May 2010 by the father/ son team of Ray and Brett Bielecki. The various "missions" of spaceship "Mercury One" and its successor "Mercury Two" have been profiled on CBC, CTV, CITY-TV, A-Channel, the Daily Planet (for the Discovery Channel) and Rogers TV. Best known for its annual "What's Up in Space Camp and STEM Conference," which is targeted to elementary and secondary school students. 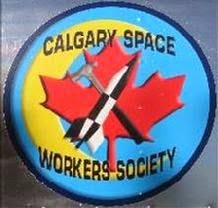 The Calgary Space Workers Society - Local advocacy group focused on how "to live and work in space." The group hosted the 2007 "Canadian Space Summit." The Canadian Association of Rocketry listing of affiliated organizations - Who says that Canadian's don't build rockets? Certainly not these self-supporting, non-profit organizations. 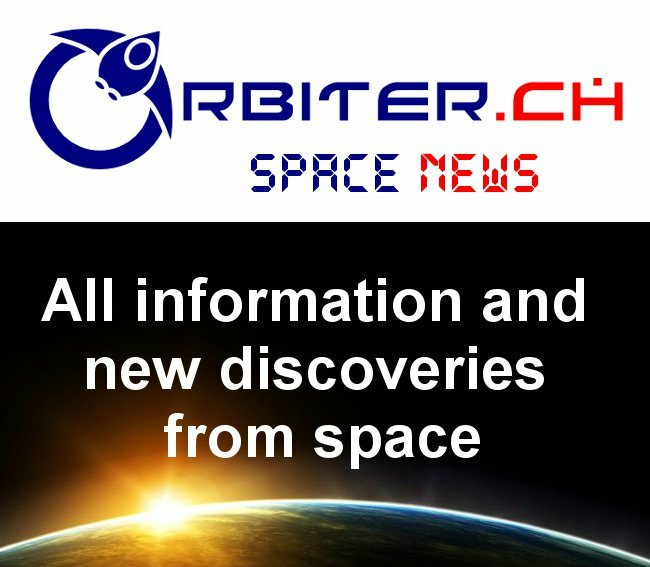 Their sole purpose is to promote development of amateur rocketry as a recognized sport and worthwhile activity, learn something and have a little fun. The Canadian Aeronautics and Space Institute (CASI) - A nonprofit technical organization for aeronautics, space and remote sensing. Host for a variety of annual events including recently the concluded 65th International Astronautics Congress (IAC), which was held in Toronto from September 29th - October 3rd, 2014 and the 2016 CASI ASTRO, which was held in Ottawa, Ontario from May 17th - 19th. The Canadian Astronomical Society (CASCA) – Academic focused organization founded in 1971 and incorporated in 1983 as a society of astronomers devoted "to the promotion and advancement of knowledge of the universe through research and education." The CASCA Joint Committee on Space Astronomy also advises the Canadian Space Agency (CSA) on matters pertaining to the space astronomy segment of the CSA space science program, including priorities, areas of research, selection mechanisms, funding areas and the extent of funding. 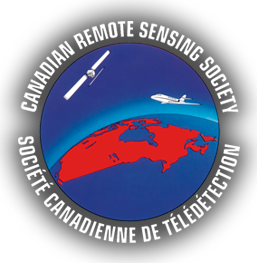 The Canadian Remote Sensing Society (CRSS-SCT) - Focused on the Canadian activities relating to geomatics (the discipline of gathering, storing, processing, and delivering geographic information, or spatially referenced information), this scientific association organizes conferences and helps publish the Canadian Journal of Remote Sensing (CJRS). 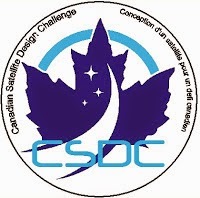 The Canadian Satellite Design Challenge - A privately funded, biannual event focused on teams of Canadian university students (undergraduate and graduate) who design and build an operational small-satellite, based on commercially-available, "off-the-shelf" components. The Canadian Science Policy Centre - Passionate professionals from industry, academia, and science-based governmental departments who organize the annual Canadian Science Policy Conference. The Canadian Space Society (CSS) – A non-profit corporation promoting Canadian space activities. Has organized the annual Canadian Space Summit since 2008. Engineers Canada - The national organization of the 12 provincial and territorial associations that regulate the profession of engineering in Canada and license the country's more than 260,000 members of the engineering profession. The organization also issues national position statements on key issues relating to the public interest, including infrastructure, labour mobility and regulating the profession. The Geological Association of Canada - A national geo-science society, publisher and distributor of geo-science books and journals. Also holds a variety of conferences, meetings and exhibitions for the discussion of geological problems and the exchange of views in matters related to geology. Geologists often use Earth imaging and geo-spatial satellite technology derived from our space program to inventory natural resources. Hacklab.TO - One of a number of small Canadian organizations like the Interaccess Electronic Media Arts Centre, the Kwartzlab Makerspace, the Makerkids non-profit workshop space for kids, Think|Haus, the Site 3 coLaboratory, UnLab and others who focus on the technologies associated with open source additive manufacturing/ 3-D printing. These techniques show great promise for a variety of low cost space manufacturing technologies. 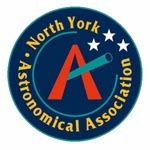 The North York Astronomy Association (NYAA) - This Ontario based club is the organizer of the annual StarFest star party, which is recognized as one of the world's top 10 gatherings of amateur astronomers for the purpose of observing the sky. 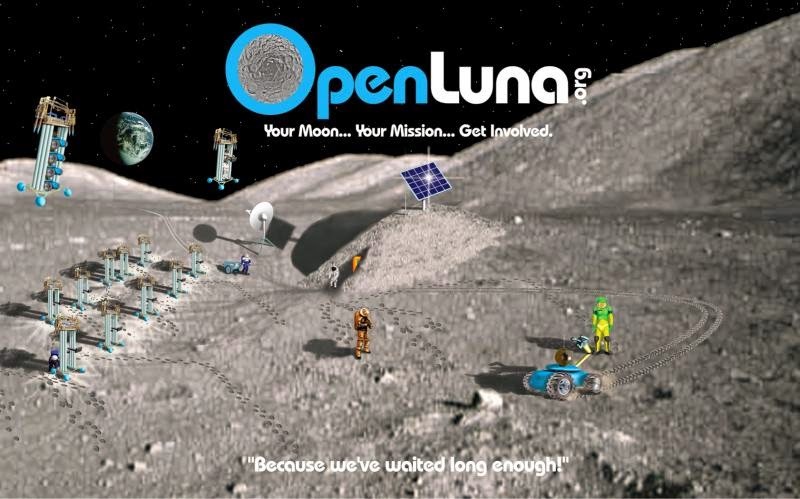 The OpenLuna Foundation - A privately funded public outreach program (officially a US based 501(c) 3) to encourage the use of open-source tools and methodologies (open design) for space focused activities. The founding member and project manager/ director of the organization is Paul Graham, who lives in London, Ontario. The Planetary Society Canada - A subgroup of the larger US based Planetary Society. a non-government, nonprofit organization involved in research and engineering projects related to astronomy, planetary science, exploration, public outreach, and political advocacy founded in 1980 by Carl Sagan, Bruce Murray, and Louis Friedman. The current CEO is Bill Nye. The Royal Astronomical Society of Canada (RASC) - 4,800 members, including about 500 "unattached" members from remote parts of Canada and around the world and strong chapters in Vancouver and 28 other centres across the country makes RASC one of Canada's largest space and astronomy advocacy groups. Since 2009, the organization has purchased the David Dunlap Observatory in Richmond Hill, Ontario and SkyNews; the Canadian Magazine of Astronomy and Stargazing. The Royal Canadian Institute (RCI) - The oldest scientific society in Canada, founded in Toronto in 1849 by a small group of civil engineers, architects and surveyors led by Sandford Fleming. The current membership is focused around events and lectures promoting scientific advancement. Science Rendezvous - Grassroots not-for-profit organization and public platform to promote science awareness and increase science literacy in Canada. Holds the yearly, spring Science Rendezvous at the University of Toronto, St. George campus. Space Canada – A not-for-profit organization dedicated to the promotion of solar energy from space. Organized the 2009 Symposium on Solar Energy from Space. Space Canada president and CEO George Dietrich has a long history of supporting US and Canadian NewSpace activities. The Space Society of London (SSoL) - Aims to unite members of the University of Western Ontario and greater London communities who have a common interest in space. The Space Tourism Society Canada - The northern outpost of the US based Space Tourism Society (STS) promotes space tourism and the acquisition of "financial, political and public support to make space tourism available to the general population in the near future." Students for the Exploration and Development of Space (SEDS) Canadian chapter - Part of an international group of student-run organizations dedicated to promoting public interest in space. Countries with active SEDS groups include the US, the UK and India. The Toronto International Space Apps Challenge - An annual "hackathon" organized each spring as part of the NASA International Space Apps Challenge. The Toronto Students for the Advancement of Aerospace (TSAA) - An inter-university student organization striving to promote the advancement of aerospace through student leadership and hands-on initiatives, focused on building an annual conference series focused around the "do-it-yourself engineer" in order to "educate, motivate and enrich the experience of students in aerospace and related fields."